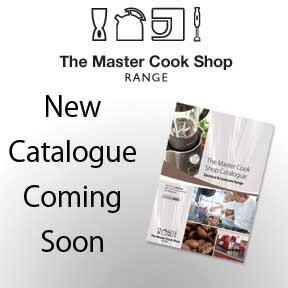 Our NEW Master Cook Shop Catalogue (Electrical and Cookware) to be released soon. 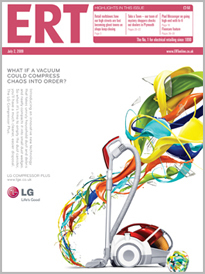 This expands over 90 pages and lists full ranges of the EPE portfolio, Edition 3 has lots of new products and great features. 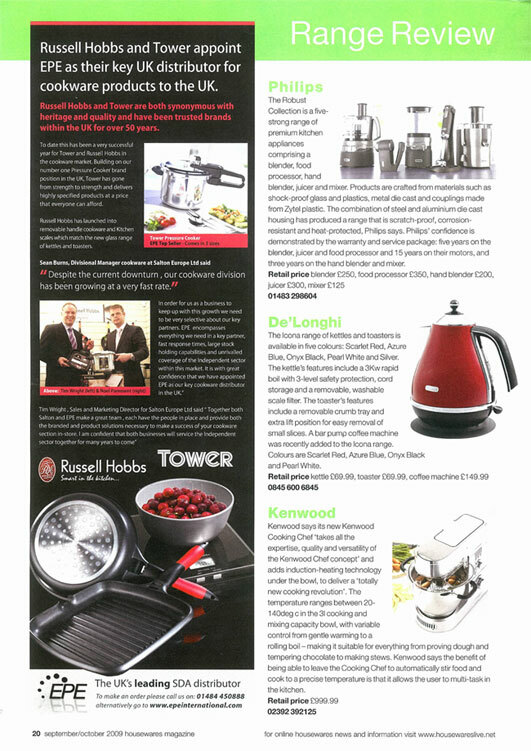 Robbie Watson of Breville said: “Breville is one of the leading brands of small domestic appliances and as such needs to work with the leading distributors in the UK. Appointing EPE was an easy choice as they bring with them a wealth of experience and all the attributes we look for in our business partners. EPE have recently launched Cuisinarts new Elite collection, this professional suite of food processing products consists of a large 3.8 litre multi-bowl, 700W power Blender and mini processor. We have also launched the PrefecTemp kettles and the entire Cuisinart cookware ranges. Click the links below to read more. Click here to read the full article or click here to view it on the page. Tim Wright, Sales and Marketing Director for Salton Europe said”Together both Salton and EPE make a great team, each have the people in place and provid both the branded and product solutions necessary to make a success of your cookware section in-store. I am confident that both businessses will serivce the independent sector together for many years to come. After a very successful few months with Caffitaly coffee machines and pods. 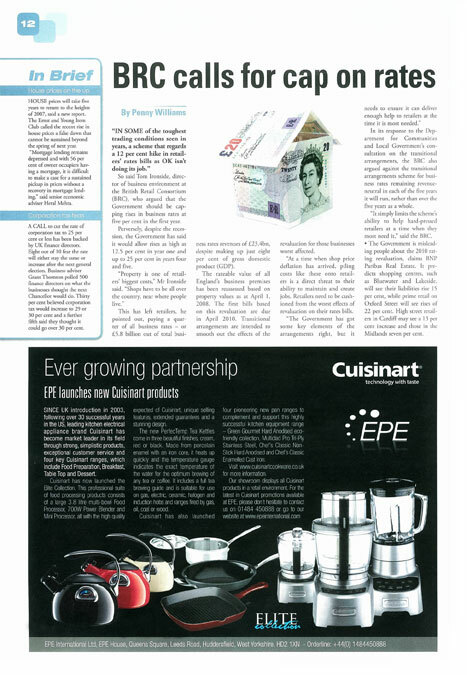 EPE and Caffitaly decide to advertise together in Octobers edition of ERT. 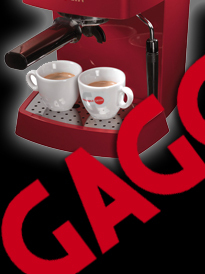 This advert enhances both brands and pushes the Nautilus machine and Ecaffi coffee pods. PE and all there customers generously make a donation to Cancer Research UK. Andrea Member from Cancer Research recieved the donatation cheque from their Regional Sales manager – David French. Andrea was very pleased to receive the cheque and thanked all that contributed and wished success and happiness in the future for EPE. 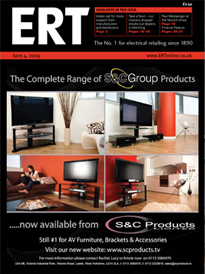 EPE would like to thank all of its customers for helping us support Cancer Research UK. The Nespresso promotion is the highlight of the winter calender for retailers and stockists of Nespressso coffee machines. Our fantastic new offer and premium point of sale material have been designed to entice and attract customers and to increase your Nespresso machine sales. The new coffee maker range is being launched in the Buyers Choice brochure from September onwards, and includes the best-selling coffee machine brands in the market. Buyers Choice includes a coffee maker guide to help retailers in ranging the right products. The new guide also includes both features and key benefits for the consumer. 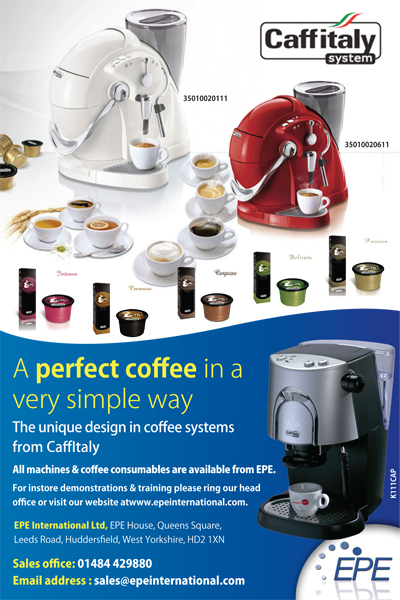 To support the new range EPE will be carrying out coffee maker demonstrations at its showroom, and demonstration units are also available from EPE. Early October sees the introduction of the revolutionary Cuisinart Soup Maker SSB1U, featuring a 1000 watt integrated heater, combined with a 600 watt blender, creating hot wholesome soup in just 20 minutes.With three different settings, the Soup Maker sautés, boils, heats and simmers fresh ingredients, then blends to your preferred consistency…the ultimate in healthy convenience cooking. The Soup Maker is also ideal for making sauces, dips & dressings, purées and even crushes ice. The Soup Maker is expected to have a retail price of around £140. 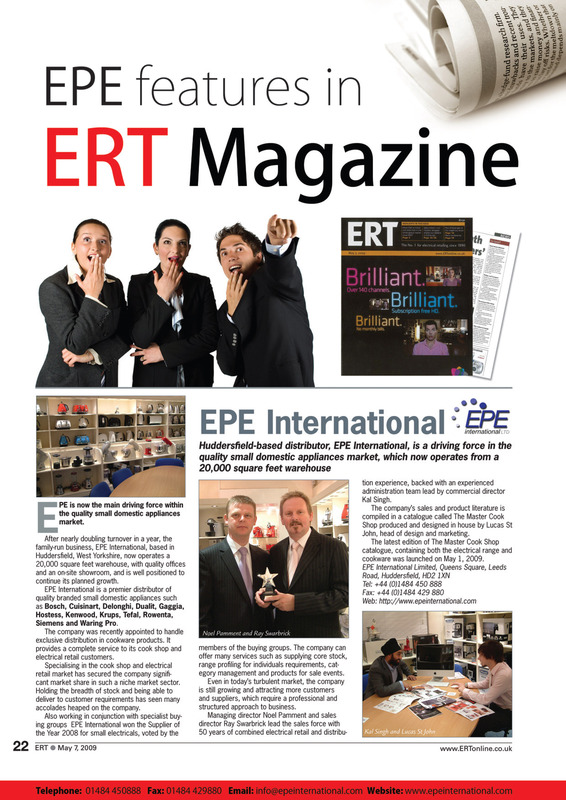 Also to be featured in ERT. 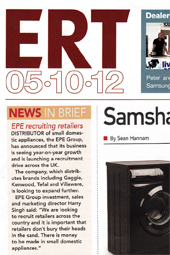 EPE has achieved its ‘Best ever performance’ at the recent Autumn/Winter buying group exhibition in the UK. Our portfolio of brands and products were a great success with our customers. 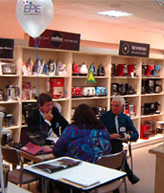 Demonstrations on coffee and the new Cuisinart soup maker was well recieved by our customers – for further demonstrations at your store please contact us. We are very pleased to announce that Andrew Greenway will be joining EPE as National Sales Manager as of 1st September.Andrew has spent over 15 years at Gaggia UK where he has been in senior management roles. Andrew brings with him a wealth of experience within Sales and has dealt with a number of key accounts during his career. He will be looking after Key Accounts in the UK.We feel that Andrew will be pivotal to the growth of our business and would like to welcome him to the company. 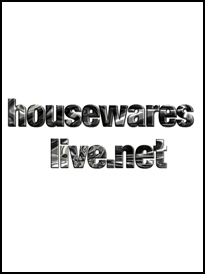 The hugely popular website housewareslive.net write a small article on EPE and our newly released website. 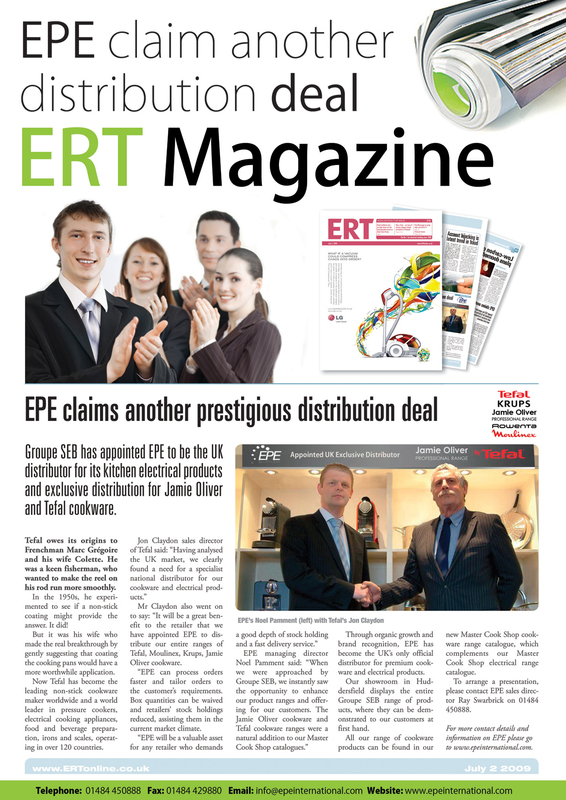 Groupe SEB has appointed EPE to be the UK distributor for its kitchen electrical products and exclusive distribution for Jamie Oliver and Tefal cookware. Tefal owes its origins to Frenchman Marc Grégoire and his wife Colette. He was a keen fisherman, who wanted to make the reel on his rod run more smoothly. In the 1950s, he experimented to see if a non-stick coating might provide the answer. It did! 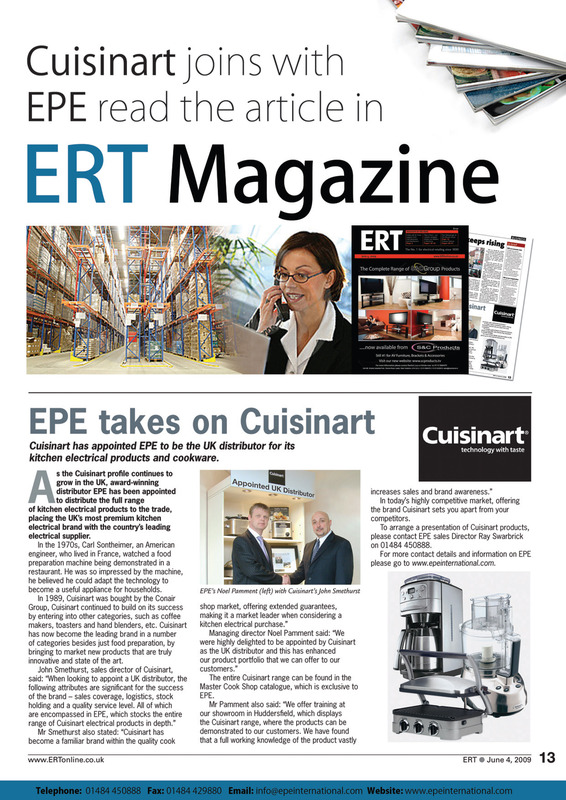 As the Cuisinart profile continues to grow in the UK, award-winning distributor EPE has been appointed to distribute the full range of kitchen electrical products to the trade, placing the UK’s most premium kitchen electrical brand with the countries leading electrical supplier. In the 1970s, Carl Sontheimer, an American engineer, who lived in France, watched a food preparation machine being demonstrated in a restaurant. He was so impressed by the machine, he believed he could adapt the technology to become a useful appliance for households. 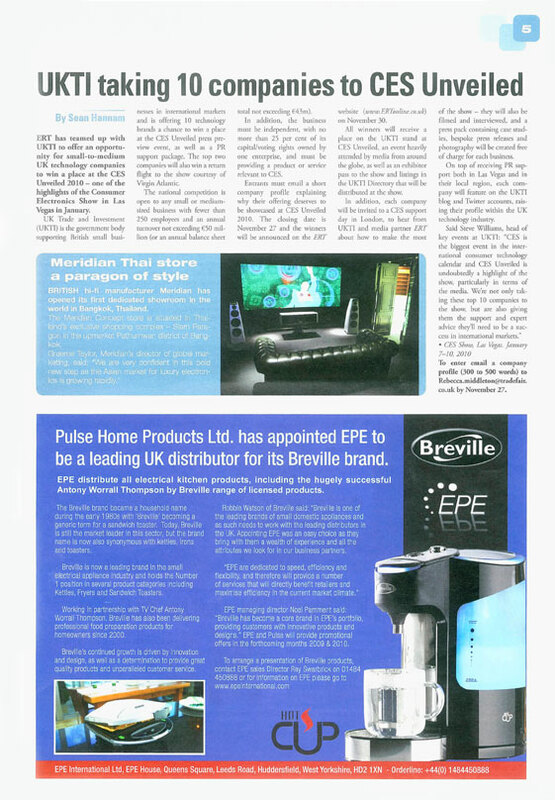 EPE is now the main driving force within the quality small domestic appliances market. 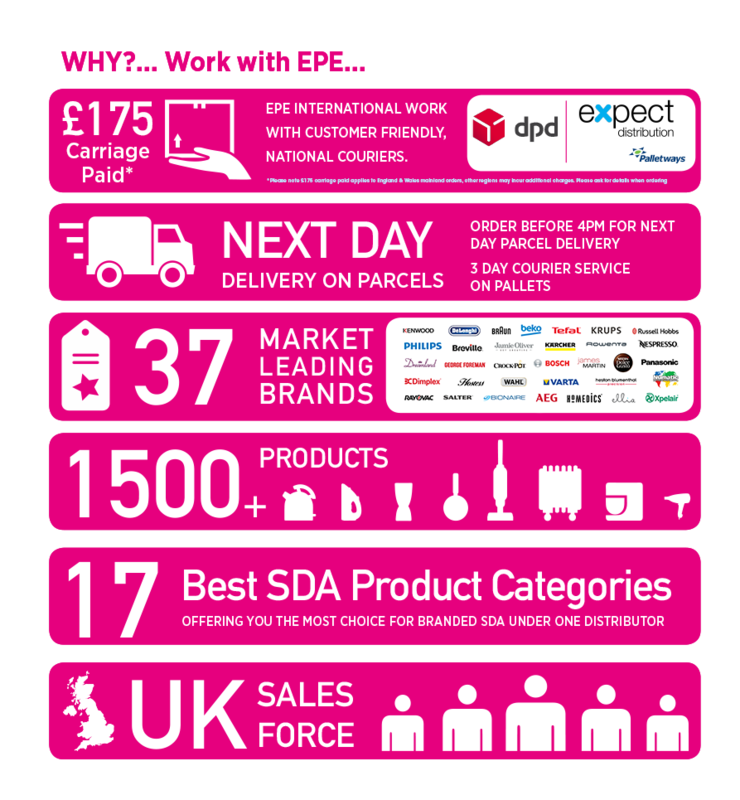 After nearly doubling turnover in a year, the family-run business, EPE International,based in Huddersfield, West Yorkshire, now operates a 20,000 square feet warehouse,with quality offices and an on-site showroom, and is well positioned to continue its planned growth. EPE International is a premier distributor of quality branded small domestic appliances such as Bosch, Cuisinart, Delonghi, Dualit, Gaggia, Hostess, Kenwood, Krups, Tefal, Rowenta, Siemens and Waring Pro.